Our production process is flexible and can be continually adjusted to varying batch sizes. We can therefore handle both customised solutions and large, regular deliveries of batch-produced cylinders. 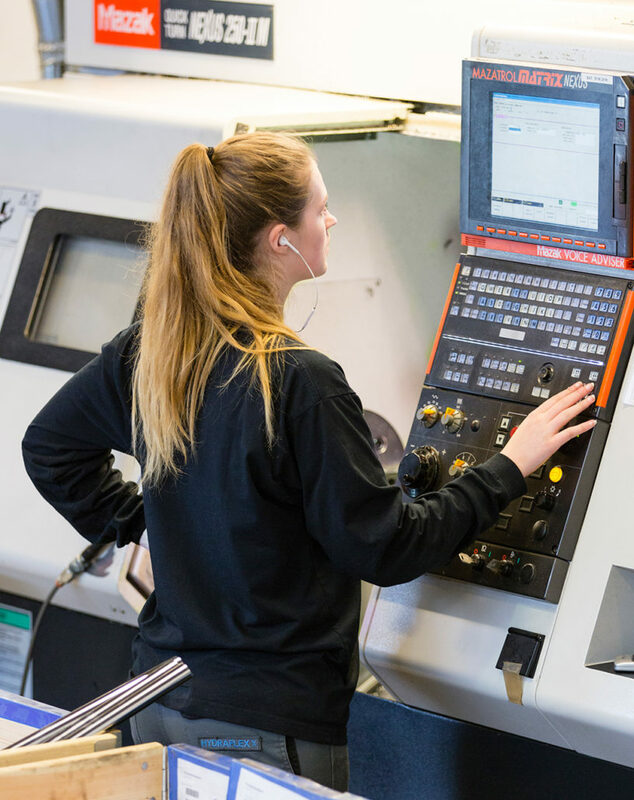 Product development and optimisation are areas in which we increasingly find that we are making a difference for machine builders. We are a strong partner when it comes to the important details in the development phase, and we are a quality-conscious supplier when the project expands. We deliver cylinders and pump cylinders to a wide range of industries from batch production to building single unit solutions. We can supply you with cylinders from our own standard cylinder program for light industrial tasks. 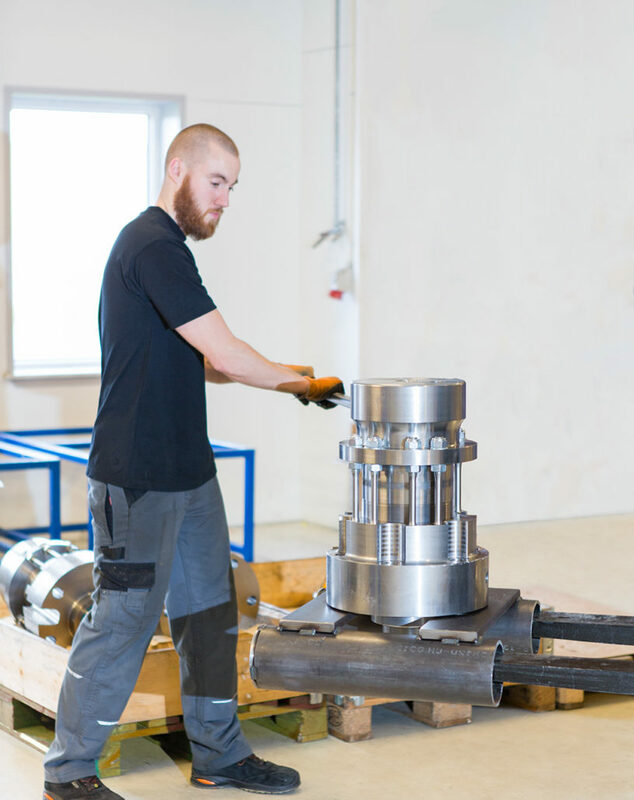 We manufacture all cylinders at our factory in Viborg, Denmark. With the H2C program you are guaranteed competitive prices and prompt delivery. The cylinders are delivered in high quality and with optional stroke length. The program covers cylinders from 25/12 to 200/125 with stroke lengths from 25 to 1500 mm and comes in 7 variants. Our cylinder guide ensures that we receive all information needed to handle any inquiry from you. Download it here. Our wide range of hydraulic hand and foot-operated pump cylinders makes it easy to choose the most effective solution if your project requires simple operation without air and electricity. The combination of our quality cylinders and efficient pumps provides a compact solution that is both reliable and easy to use. The closed hydraulic system also makes the pump cylinders both weather and dirt resistant. Our standard models can be customized both in terms of performance and design, and you are always assured of a reliable solution that perfectly fits your criteria. 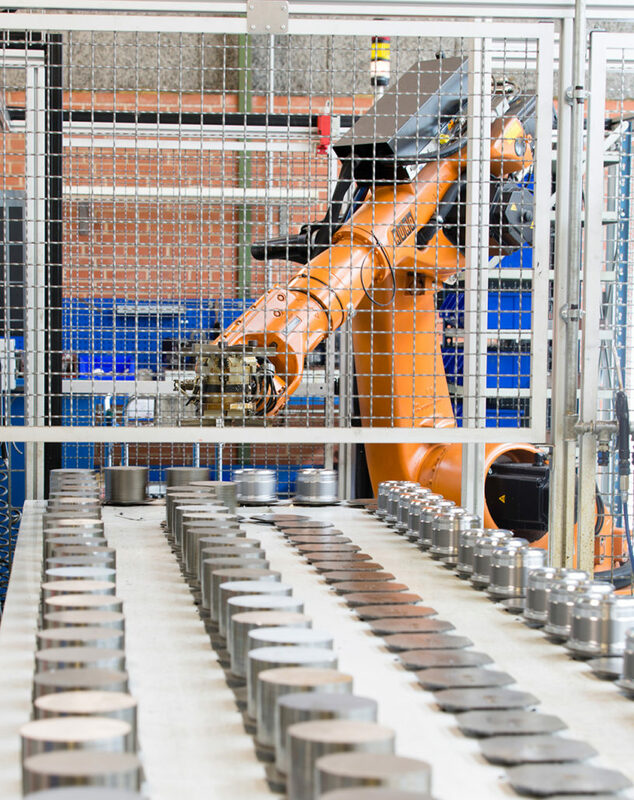 Hydraulic cylinders with integrated sensor technology play a vital role when industrial plants and machinery must meet demands for increased productivity. Sensor cylinders assist in simplifying machine design and provide a high level of flexibility in automation tasks. 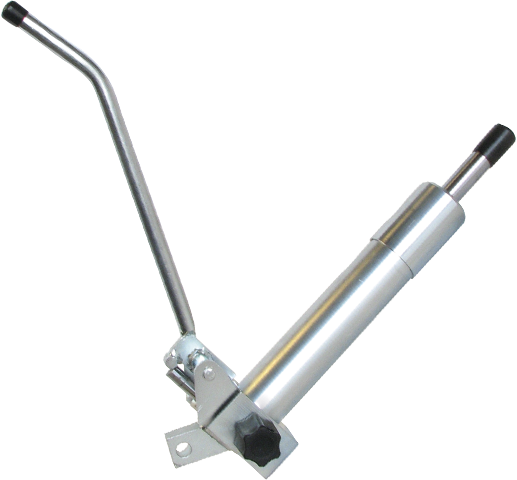 Sensor cylinders from Hydraflex combine the world’s leading sensor technology with customised cylinders of very high quality. The integrated design ensures that the sensors have a high level of reliability and a long lifespan, because they are protected against external influences such as dust, dirt and moisture from the environment. The close dialogue with our engineers also ensures that you get a tailored quality solution that makes your installations competitive. Balluff and MTS Temposonics, etc. For many years, we have manufactured thousands of cylinders for the wind turbine industry. Our certified cylinders are used both on land and at sea, because they are designed and manufactured to withstand the enormous stresses to which this kind of equipment is subjected. Whether it is standard or customised solutions, we bring the specific know-how that is required to serve the wind turbine industry. Our quality assurance system ensures full traceability and documentation that meets not only customer expectations, but also international standards. As with all our technical products we develop and produce solutions in close dialogue with the customer’s own engineers. We understand that the quality of our cylinders is paramount to your business, and we know that even the smallest details are critical in the offshore industry. We are therefore always up to date with the latest industry developments and have total focus on compliance with industry standards, documentation and certificates. We offer a wide range of material options, including acid-resistant stainless steel, unique sealing solutions, special surface treatments and full documentation to match specific project requirements for processes and traceability. All of our cylinders are manufactured at our facility in Viborg, and that gives us 100% control over all stages of the process. You can therefore be sure that our offshore solutions meet the strictest safety and product requirements, whether they are used at the top of the derrick or immersed in sea water.